Visit Baymont Inn and Suites Paris hotel located within driving range of area restaurants. Amenities include complimentary continental breakfast, gym, business center, meeting space, pool and complimentary parking. 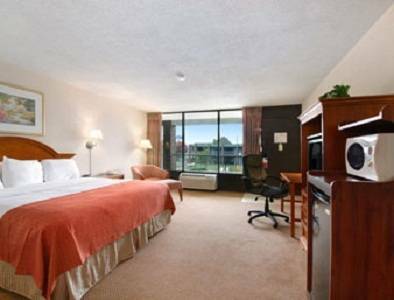 Rooms offer complimentary wireless internet access, microwave, fridge and TV. Attractions close by are Paris Vineyards winery, Paris town square, Plaza Gallery, Eiffel Tower Replica of Paris, Pat Mayse Lake Recreation Area and Lamar County Historical Museum. Dogs are welcome for a nominal fee.